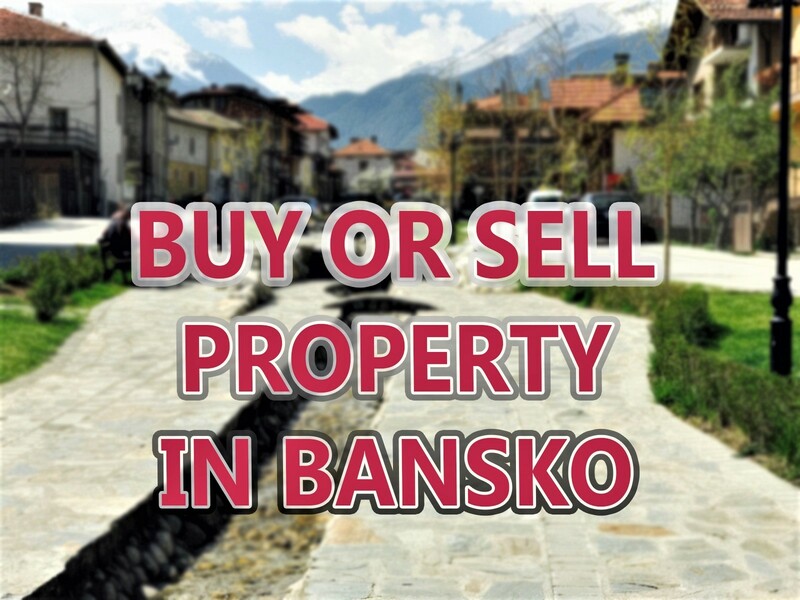 Our luxury three bedroom penthouse apartment is in the Prespa complex in Bansko with sleeping for up to nine people. 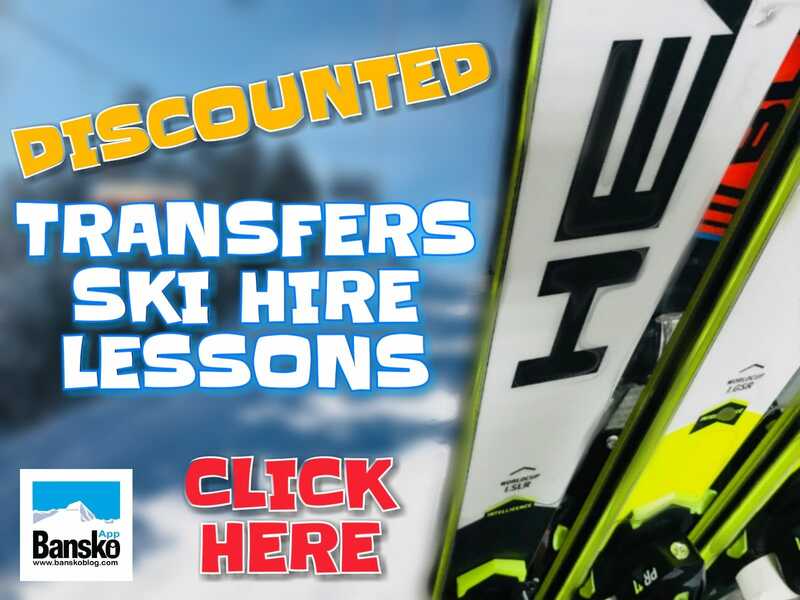 The apartment is only 5 minutes walk from the main gondola station, 10 minutes walk from the town centre and has a variety of bars, dining and spa options on its doorstep. For prices and availability please see www.banskoluxurypenthouse.co.uk or e-mail mail@banskoluxurypenthouse.co.uk. 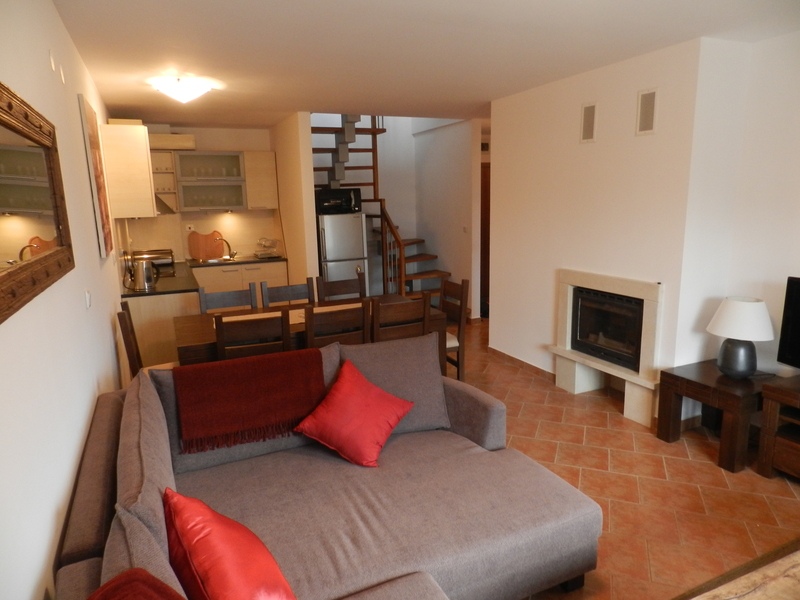 Our apartment is arranged over two floors with luxury furniture and sleeps up to nine people. You will feel at home here with lots of home comforts like books, DVD’s and a fully equipped kitchen. 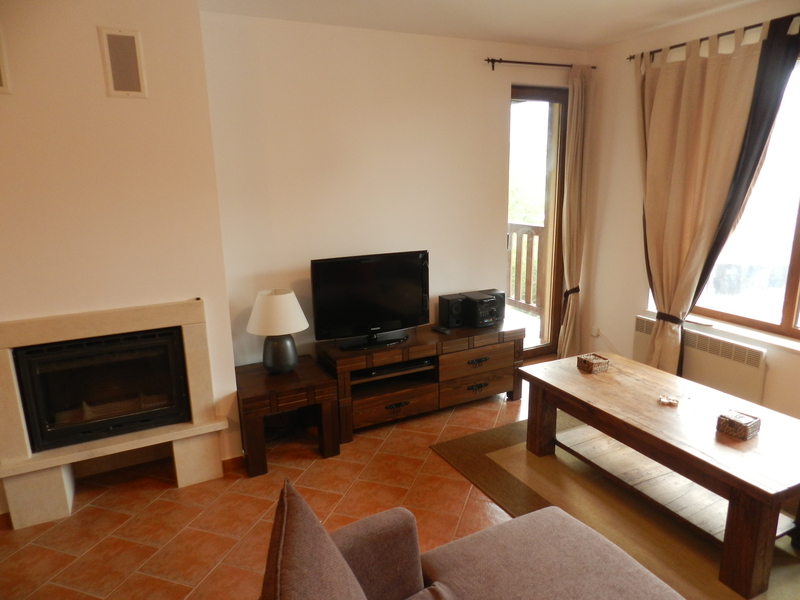 The lower floor has spacious lounge, kitchen and dining areas, a shower room/WC, a welcoming real wood fire and a large flat screen TV/DVD with access to the balcony from the lounge. 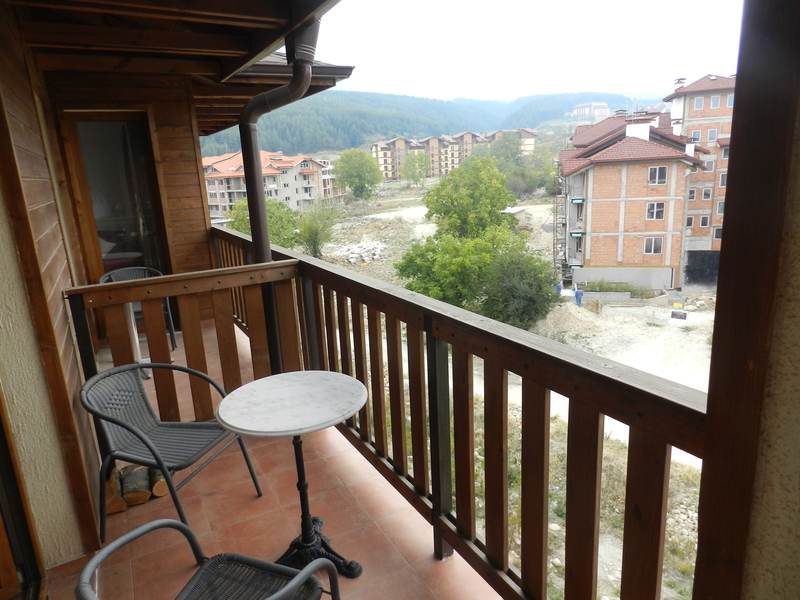 There is also a double bedroom on the lower floor which opens onto the balcony. There is a spiral staircase to the top floor which has two further bedrooms and a further shower room/WC. 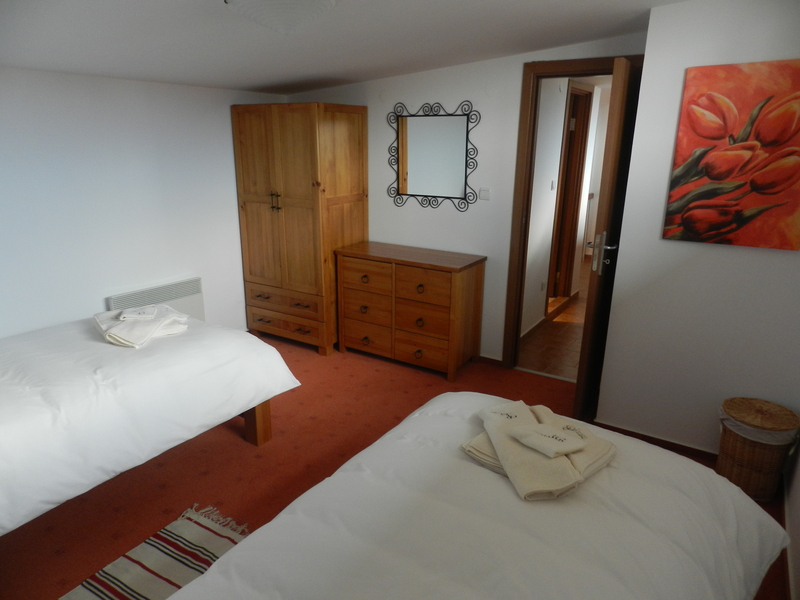 One of the bedrooms has two single beds which convert to a king-size bed. The second bedroom on the top floor has twin beds and a further full size bed that pulls out to sleep a third person. There is additional sleeping for two in the lounge where the sofa converts to a double bed. 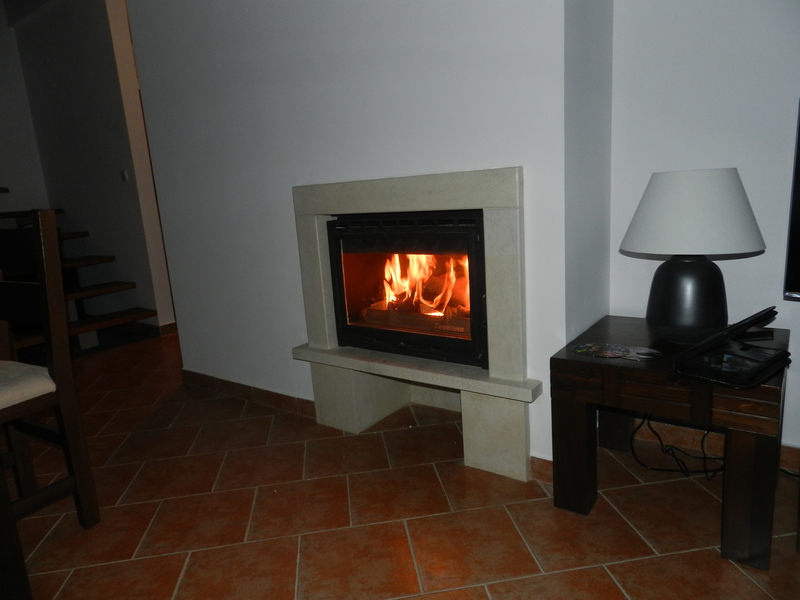 The property is heated throughout by fast and effective electric heaters. The real log fire creates a lovely atmosphere on cold evenings.